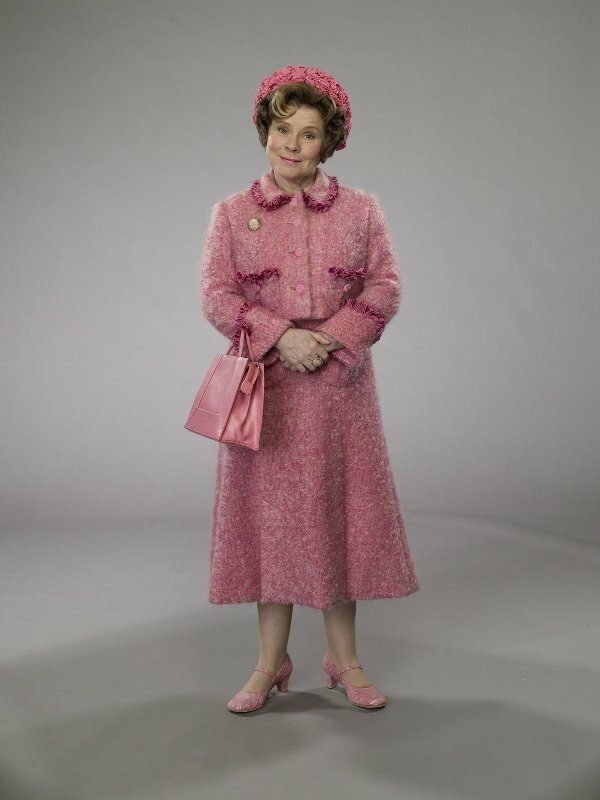 If you're not a Harry Potter fan, here's Delores Umbridge. 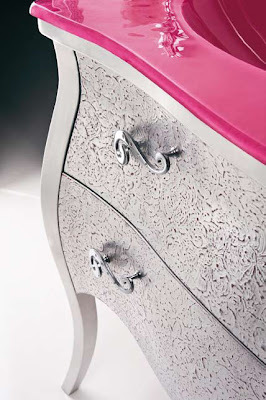 Proving yet again that Italian doesn't always mean tasteful, Etrusca proves that there is indeed something for everyone. 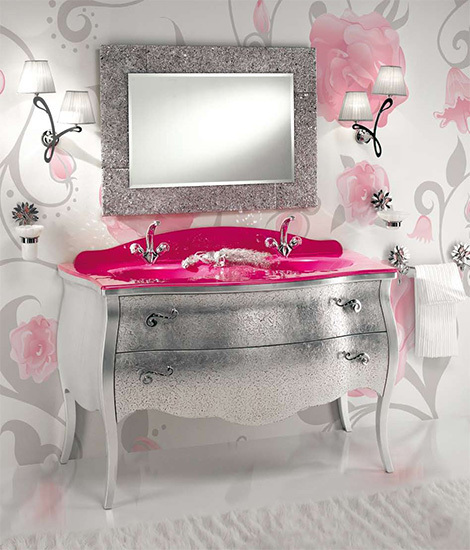 If Paris Hilton did a bath line. Actually, that works even better than Dolores Umbridge. I just wanted to run a photo of Imelda Staunton. Pricilla, queen of the bathroom? Ugh! And I was getting laughed at for my pink tool belt. Well give 'em something to scream about then! I am rolling around laughing! It's so bad I love it. I want to believe this vanity is a joke. The mewling kitten plates are on the opposite wall. Ok, Paul, are you starting an ugly vanity series? The last padded tufted specimen you recently showed us is still burned upon my brain. It is a recurring theme and there are so many of them I ought to start a series. What Were they Thinking Wednesdays perhaps? Dude, why do I love these gross things? So unlike me. Where do you find them? I have an army of Guardian Angels who bring them to me daily.